Thomas Vitkowski is a CPA who is a panel member on CNBC’s Investor Round Table and former longtime Islanders Season Ticket Holder. 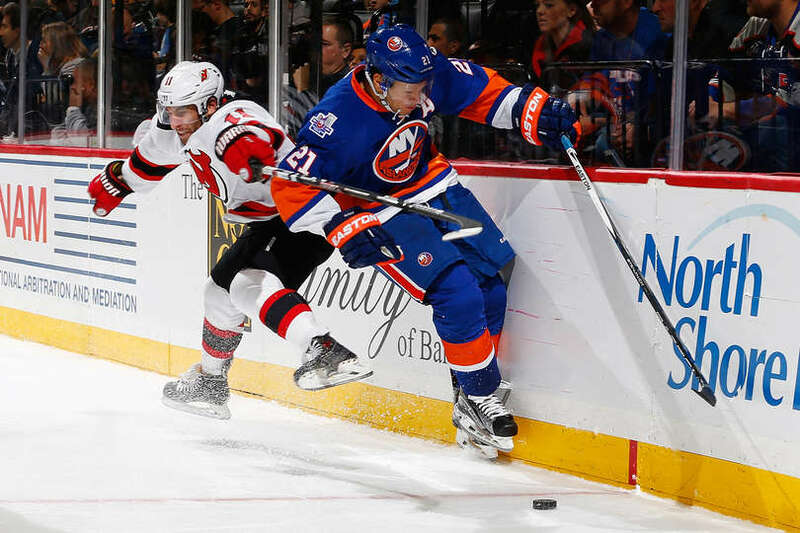 The Islanders had to play 22 games in 41 days to close the season and while they won the first 4 games, they went into a huge slump going 1-4-2 over the next 7 ending with a horrendous home loss to the Flyers. To their credit, they closed March winning 4 of the last 5 and then went 3-1 the first 4 in April to pull away and secure a playoff spot. The team deserves a lot of credit as the schedule could have been easily blamed had they not recovered. JT was very blunt after the bad Flyer loss and the team clearly responded. 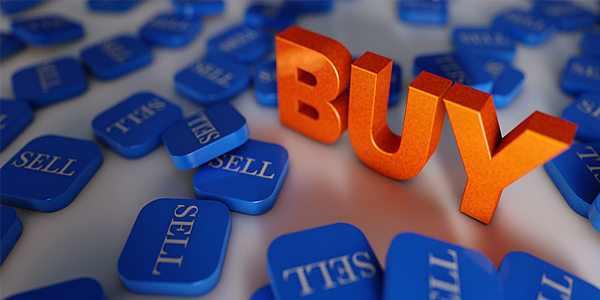 100 points 2 years in a row and a strong finish can only be labeled as a buy. 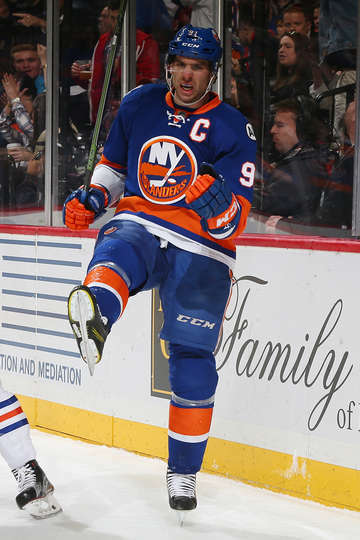 Speaking of John Tavares, I wrote in December that I fully expected him to close the season strong. I believe that he has learned how much of a grind the season can be and I think he approached this season differently, understanding that in the end it’s important to be playing well going into the playoffs. Leaders show up in big spots and JT led nearly every offensive category over the final 2 months. 10 goals, 10 assists (Frans led with 12) in 21 games to go along with a +9 and just a dominant force on the ice. To get by the Panthers, he will need to be playing at the same level. Nick Leddy was slapped with a sell rating twice by me earlier in the year and a clear “buy low” candidate as I was waiting for him to turn it around. It took a little longer than I hoped, but Leddy really was a completely different player the last half of the season. Nick had 12 points through December without a goal and finished the season with 40 points, including 10 helpers over the last 2 months. He did end with a team tying low of -9 for the season which was a bit disappointing, but it was nice to see him taking the puck, creating offense and being the player we all know he is. He will need to do more of it if the Islanders want to make some noise in the playoffs. You have to wonder why Strome regressed so much this year compared to last. Clearly sending him down didn’t have the effect the coaching staff hoped for and while I am a fan of his, you have to be honest and say his year was a bust. He tied Nick Leddy for the worst +/- at -9 for the year after being the team leader last year at +23. He was given quite a bit of 1st line ice time, but simply didn’t produce. You have to step back and remember he still is only 22 years old, but this is certainly a danger sign for a player who was supposed to be an up and coming star for us…remember the whole I wouldn’t trade him for Taylor Hall? (and to be fair I was one of those people) well he certainly isn’t at his level. 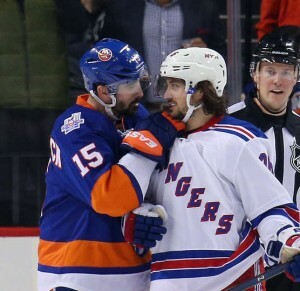 Cal Clutterbuck didn’t score a ton of goals to end the season, but all he did was score big goals. MSG March 6th, Islanders blow a lead, what does he do? Score the GWG with under 2 minutes left. March 14th after 2 brutal periods against Florida and trailing 2-0 going into 3rd, he scores from nearly an impossible angle to win the game once again in the final 2 minutes of the game. 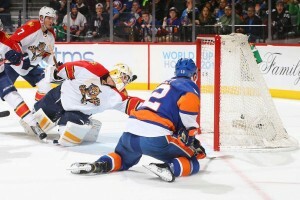 March 26th vs Carolina, Isles trail 3-2 going into the 3rd, he not only scores the tying goal in the 3rd, but wins the game in OT. Hey Jack, maybe he should have gotten some of Bailey’s 84 minutes of PP time…the guy actually scores. Overall he had 5 GWG playing under 12 minutes a game. 3 huge wins in March at a time when the Islanders needed it most. Great job Cal! I don’t think Kyle Okposo gets the credit he deserves. He had another outstanding year while playing a lot of it without JT. He closed the season strong with 18 points over the last 21 games and he’s also one of the few forwards who can hold the puck in the offensive zone. 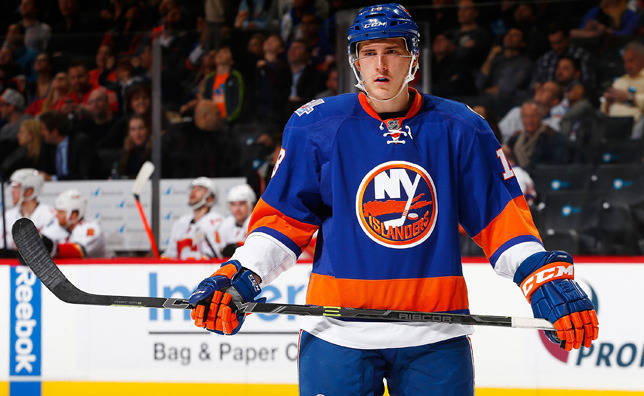 The Islanders will be hard pressed to replace him if he goes, and I really hope he doesn’t. He needs to have a huge playoffs for us and hopefully that becomes a factor in getting him resigned come this offseason. 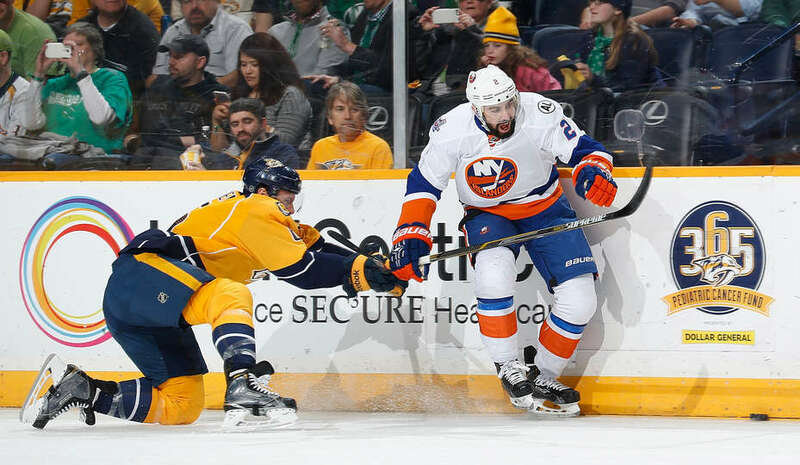 There was a lot of discussion about the lineups the Islanders played over the last 2 games. After a brutal schedule to end the season and honestly a stupid playoff format, the coaching staff did the right thing by resting players. Had the NHL stuck with simply ranking teams based on points than the Islanders could have secured home ice by winning the final game. The irony of this system is that it supposedly would encourage more rivalry playoff series. Had it been ranked 1-8 we would have had WSH-DET, PIT-PHI, FLA-TB and NYR-NYI. OOPS! 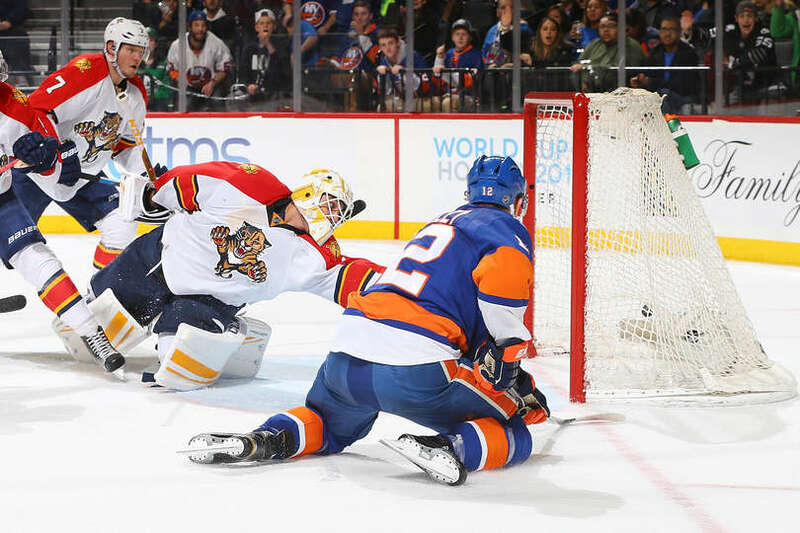 What’s on tap: A first round showdown with the Panthers. Greiss needs to keep it going as I’m really hoping we can end this playoff losing streak as it’s been far too long…LET’S GO ISLANDERS! Advance Like It’s 1993 Shirts On Sale!